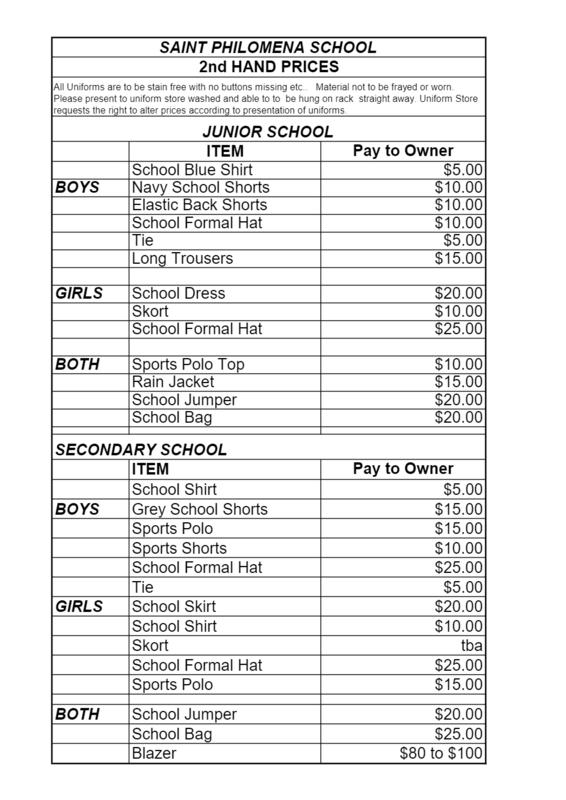 Saint Philomena School has a formal dress uniform and a sports uniform. 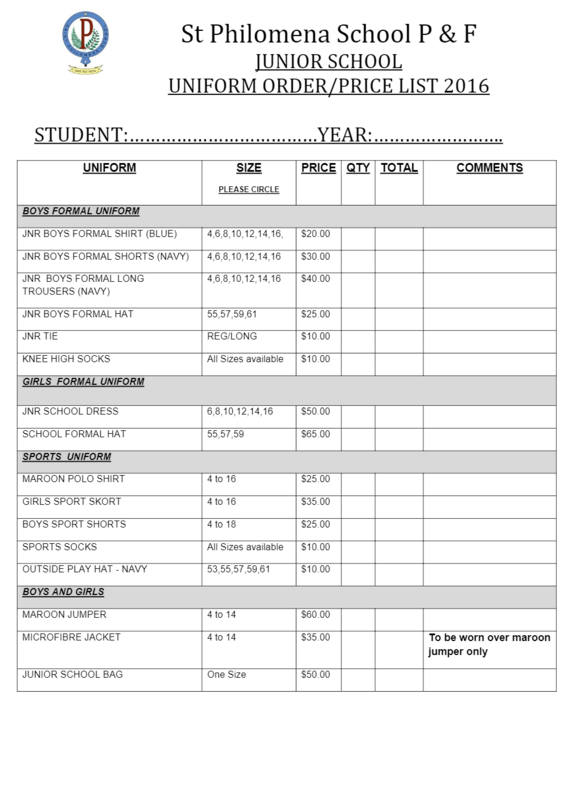 In usual circumstances students are expected to wear their sports uniform one day each week. This day may change depending on the term and the sport being undertaken, but is usually a Thursday. The formal dress uniform must be worn on all other days. Wearing the correct uniform is important, not just at school but before and after school as well, as students in their uniforms are representing the school in the public eye. The school also has a No Hat – No Play policy. Children are required to wear their outsider hats when playing outside. For girls, no jewellery is permitted, except watches and plain sleepers or studs. Hair that is shoulder length or longer must be tied back with ribbons or hair ties in the school colours of navy or maroon. The school formal dress must reach below the knee when sitting. Dyed hair is not permitted. For boys, no jewellery is permitted, except watches. Hair must be cut short and neat and tidy. Dyed or gelled hair is not permitted. White shirt, school tie, dark grey shorts, school grey formal socks, black school shoes, navy jumper, school maroon blazer, formal hat, school navy backpack. White blouse with navy cross tie, navy pleated skirt, navy jumper, school maroon blazer, white turn down socks, black school shoes, school navy backpack. Navy/white sports polo, navy sports shorts, school sport socks, navy bucket hat. 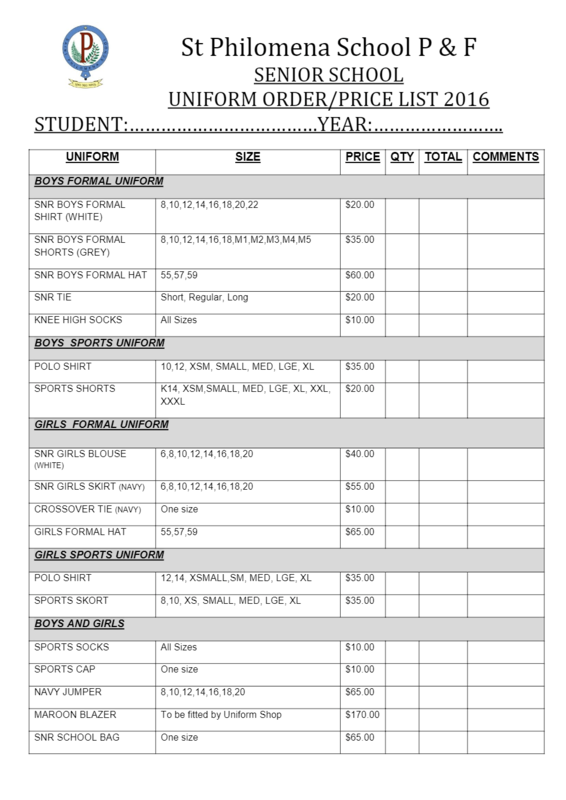 Blue school sports polo, navy skort, school sports socks, navy bucket hat.